Greg Ginn‘s version of Black Flag (with Mike Vallely on vocals) are back and playing their first shows in five years. 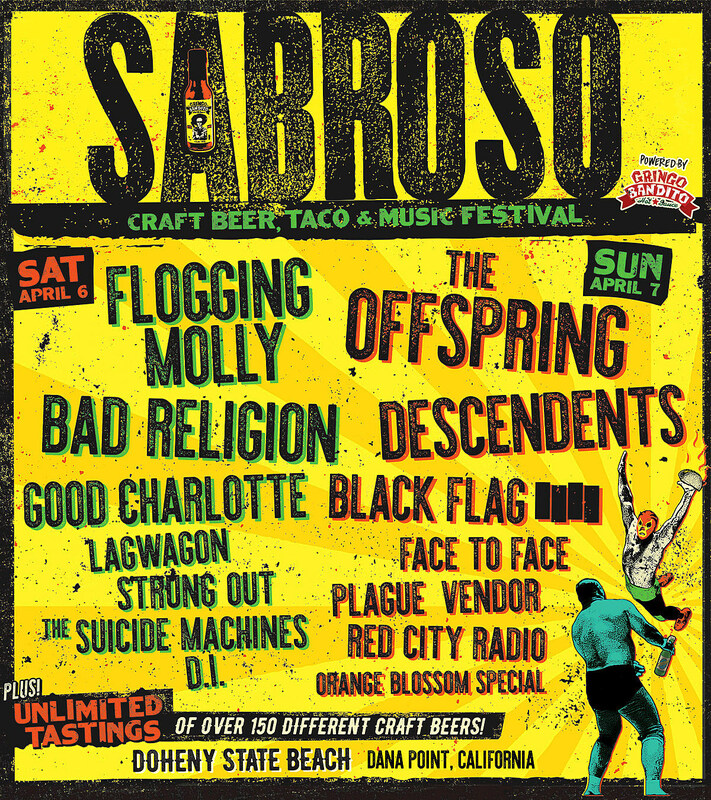 They’ve updated their website with a picture of the Black Flag Bars and “2019” written on them, and they announced their first show: Dana Point, California’s Sabroso Craft Beer, Taco & Music Festival. The fest happens April 6 & 7 at Doheny State Beach, and the lineup also includes Flogging Molly, The Offspring, Bad Religion, Descendents, Face to Face, Lagwagon, Strung Out, The Suicide Machines, D.I., Plague Vendor, Red City Radio, and more. Tickets go on sale Friday (2/1). Poster below. 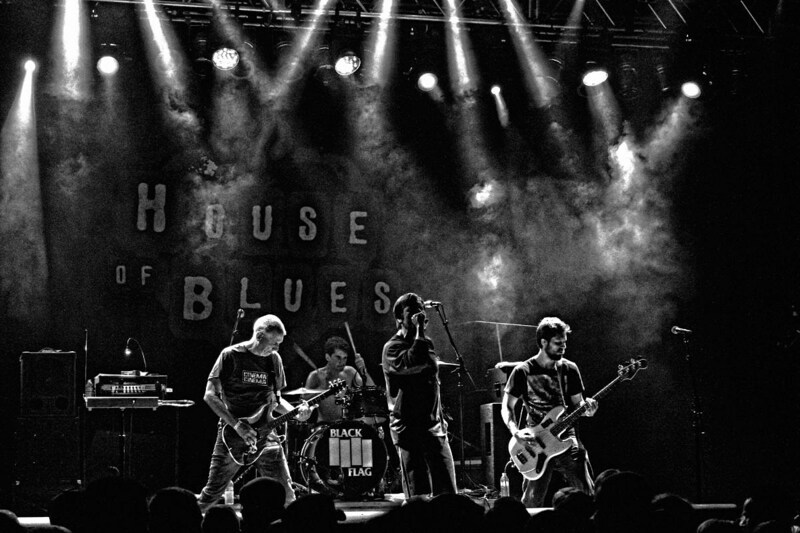 Greg Ginn’s version of Black Flag first re-activated in 2013 with Jealous Again-era vocalist Ron Reyes, and they released the new album What The… Reyes and other members left the band shortly after the album’s release, and Reyes was replaced by pro skater Mike Vallely who also sang with the band during their brief 2003 reunion. Around the same time, competing band FLAG was launched (with classic-era Black Flag members Keith Morris, Chuck Dukowski, Bill Stevenson, and Dez Cadena, and Bill Stevenson’s Descendents bandmate Stephen Egerton) and they remain active. Meanwhile, longtime Black Flag frontman Henry Rollins has expressed no interest in being involved in a Black Flag reunion, and he continues to focus on his spoken word tours. For more Black Flag, read: Black Flag Albums and EPs Ranked Worst to Best.